The Alameda County Fire Department recently contacted BNSF’s hazmat team in response to an industrial fire at a metal recycling facility in San Leandro, Calif. 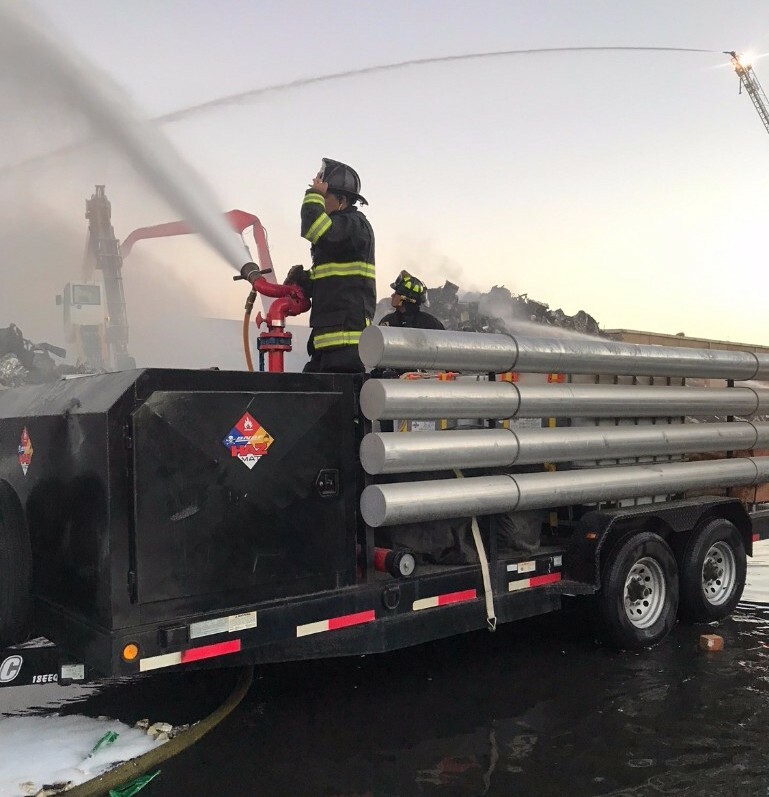 The fire department requested use of BNSF’s fire trailer that is pre-positioned in Alameda, because they had used their entire supply of firefighting foam and needed more quickly to extinguish the fire safely. The company immediately approved the request and mobilized the trailer to assist. The trailer was onsite within 45 minutes and within approximately 2.5 hours after arrival, the flames were manageable. BNSF provided the trailer at no cost to the fire department or the community. In addition, BNSF incurred the full cost, approximately $18,000, to restock/rehab the trailer to ensure it is 100% ready for any future incident, be it railroad-related or not. BNSF was proud to assist the Alameda County Fire Department in responding to this incident and values its partnership with first responders in California.